The HamiltonBuhl HA2 personal on-ear headphone is the ruggedly constructed, robust yet lightweight headphone ideal for today's tech filled classrooms. 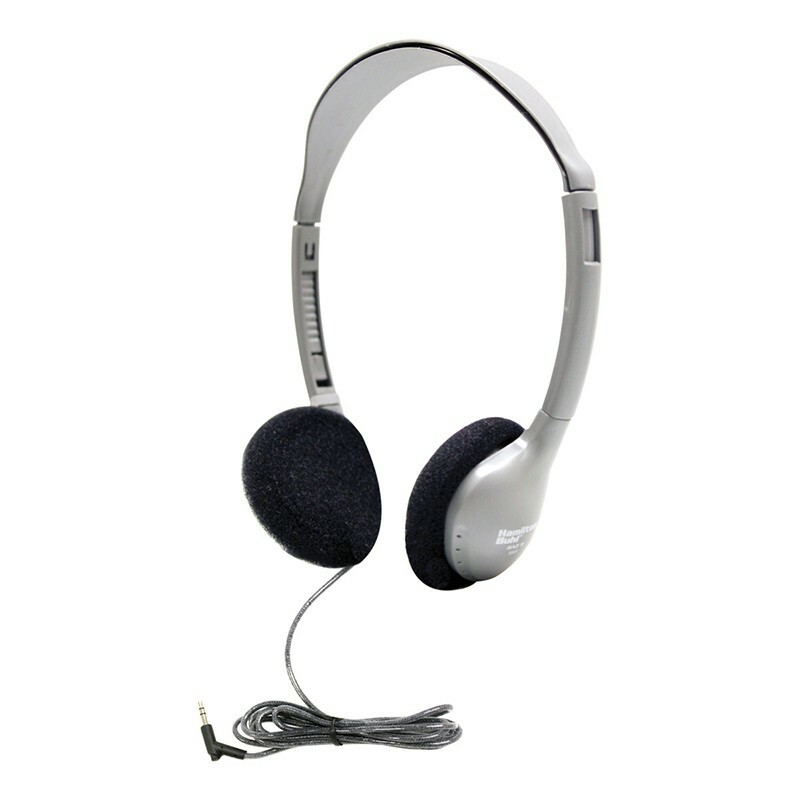 With the ever growing classroom technology, each student needs a high quality, durable yet comfortable headphone to get the most out of their high tech lessons and the HA2 headphone not only provides rugged durability and high quality sound, but the lightweight, on-ear design allows for all-day comfort and easy compact storage. With features such as our unique Dura-Cord™ (chew, kink and knot-resistant, PVC, jacketed, braided cord), and the Anti-Lice storage bag (heavy-duty, write-on, moisture-resistant, reclosable bag that kills lice within 24-48 hours), the HamiltonBuhl HA2 headphone is the ideal choice for day-to-day school lessons and testing! Bundle of 3 Headphones.